Over the weekend, I found myself in yet another internet rabbit hole. This one, however, wasn't disgusting and had nothing to do with dermatology. In fact, my coworker Rebecca best described this discovery as, "So Cute!" So, what, exactly, did I discover? Well, Her name is Zoe, and I think I need to be friends with her. She makes Vlogs (video blogs), and according to the "about" page on her blog, this has been going on since 2009. The first video I watched was of Zoe and her friend exchanging their Christmas gifts. You'd think that was boring, but it's actually incredibly engrossing. And their hair and makeup looks so good. The friend (Sprinkle of Glitter)in the video also has her own Vlogs, and they're pretty cute and fun as well. Plus, she's not quite as twiggy as Zoella, so if you're shaped more like her, that's also excellent. They look like they're having so much fun, right? So, don't be surprised if I start making videos of what I bought at the "grocery store," (aka: Walgreens). 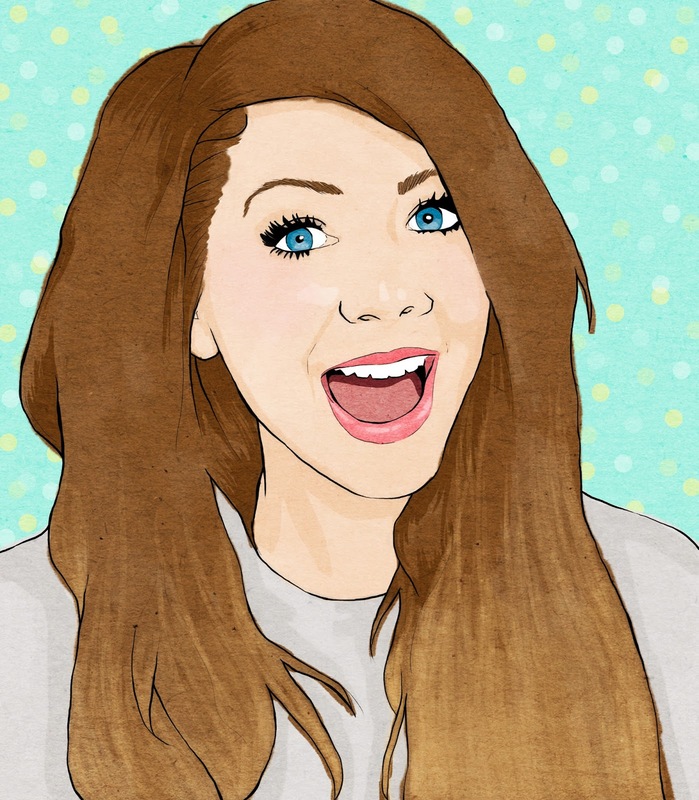 I hope you enjoy Zoella as much as I do. If you know her, though, please introduce us!